This 2013 BMW 528i M Sport is a great car for those looking for that aggressive sports and performance without having to spend their entire paycheck at the gas pump. 24 city mpg / 34 highway mpg, this 4 cylinder 2.0 Liter Turbo engine is great both on gas and power. 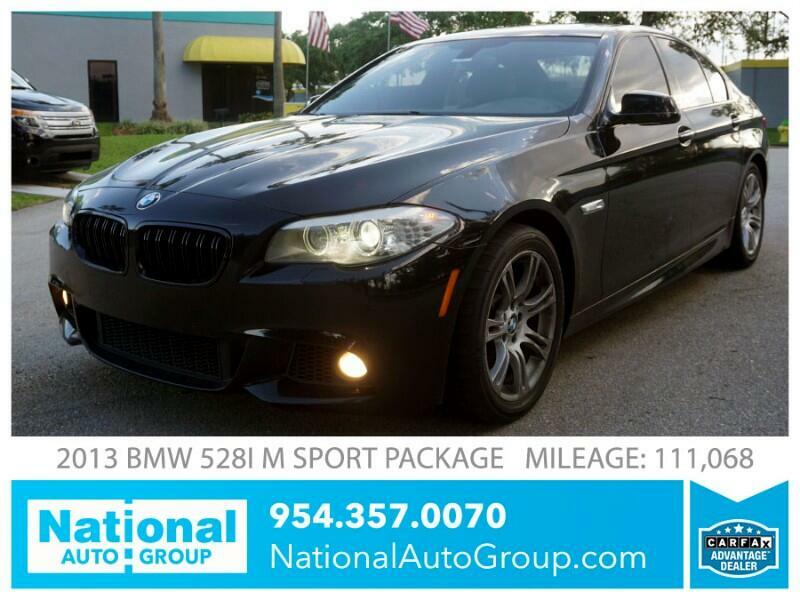 The M Sport package gives this car that nice low aggressive sports look that we all love. Black on Black color combination, M sport steering wheel, M sport rims, luxury seating. Car is in beautiful condition inside and out. Vehicle has been fully serviced and ready to go.